Actors Hector Bonilla and Benny Ibarra discuss playing father and son in “Un Padre No Tan Padre” with Jesus, @Thisfunktional of thisfunktional.com. Bonilla talks about playing his role and about the three generations in the movie. 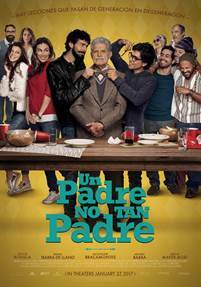 Ibarra talks about fathers like the one Bonilla plays and the universal themes of the movie.